I admit that I may live in a bubble, but wasn’t there a time, not so long ago, when we thought (or wished) that KM was on the verge of extinction. Librarians and IS professionals talk about it and articles are written about it, but are firms really dedicating themselves to devise and implement KM systems? Knowledge Management, or at least the way it is often discussed, feels like ectoplasm, something that is supposed to magically rise up out of the innards of a law firm. 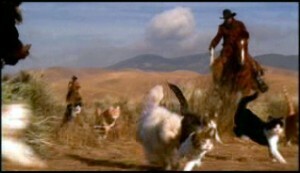 The process makes sense, especially when you consider the cat herding that goes on in most firms. On the other hand, does efficiency make sense when firms are founded on the hourly billing method? There are magazines, columns and blogs dedicated to KM, such as Above and Beyond KM, LawyerKM and Inside Magazine. There has been a flurry of recent articles published on the subject, many of them sparked by Greg Lambert’s post after having attended the ARK conference on Knowledge Management, questioning whether KM as an idea should be tossed out, primarily because lawyers will not invest the necessary time to create a viable KM system. Interestingly, Greg points out that in spite of all of the cool technology out there to help us manage KM, these tools require the investment of human capital to get them up and running effectively. A 2009 ITLA survey shows that out of 80 survey respondents, 60% have a full-time KM staff member. That may be a small sample size, but the focus is on large firms. If anything, the results indicate that many are devoted to the task, working out there on the range to wrangle institutional knowledge. KM involves aligning both the practice of law and the business of law. Many lawyers are great at their practice, but not so great when it comes to business. Getting their clients to pay them, let alone contributing their work to a firmwide bank of knowledge can be nearly impossible. I imagine someone walking around with a clipboard, trying to manage those recalcitrant attorneys into compliance. Perhaps if we could just come up with a new name for the practice, it would catch on, because, though the concept is sound, the nebulous Knowledge Management term sure is tired. What do you think? Is KM a worthwhile pursuit? Does your firm have a KM system in place? Would you call it something else if you could? ← President's Message: Easier Being Green?